Milgard understands the importance of continuing education for architects. In conjunction with our partners, we provide registered courses for professionals in two settings: easy-to-access webinar format and in-person events. At the end of your course, Milgard will submit your results for American Institute of Architects (AIA) credit. A Certificate of Completion will be available at the conclusion of each course. Each CEU below is worth 1 LU/HSW AIA Credit. New this year, we have several courses that are available for in-person GBCI credit. Interested in a live presentation? Connect with a Milgard Architectural Rep for a live presentation in your local area. Select a CEU course from the options below to begin. In this course, you will explore the benefits of different window features and materials and the best time to use them. This course will introduce the relationship between windows and energy efficiency and the importance of installing appropriate windows with high performance technologies. 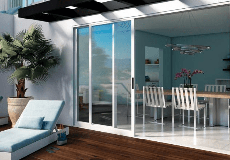 Learn how windows and doors promote healthy living by improving indoor air quality and increasing natural daylight in the living space. This course will explore the benefits of using vinyl window products to meet the unique goals of multifamily housing. To help meet your Continuing Education requirements we offer both online and in-person options. Complete the form below and a Milgard Architectural Representative will contact you about scheduling a Milgard AIA/CES presentation at your location. Yes, I would like to receive email updates about new Milgard products, tools and resources. Receive our Architect Resource Email and stay up-to-date on all Milgard products and services.